Chris Gibbs is keeping an eye on the Hawke’s Bay weather reports leading up to his stable’s two-pronged attack on the Gr.1 Livamol Classic (2040m) on Saturday. Gibbs and his Ruakaka training partner, Michelle Bradley, have Danzdanzdance and Hello It’s Me set for the $250,000 feature and another four stable representatives bound for the premier meeting, including Gr.3 Red Badge Spring Sprint (1400m) candidate Vinevale. Gibbs is confident both Danzdanzdance, a Group One placegetter, and Hello It’s Me, a Group Two winner, are ready to acquit themselves well in the Livamol Classic, but would like to see some easing of the ground for both charges. “A little bit of rain would help both horses,” he said. ”They’re very well and I’m not worried about their lack of recent racing going into it. “It’s been a roll of the dice with Hello It’s Me to see if she would make the field and she’s in at this stage and only quite a few late entries could stop her getting a start. Danzdanzdance, a four-year-old daughter of Mastercraftsman, has had just the one lead-up race and that was a winning one on her home track on September 1 over 1400m. Danzdanzdance has had just eight starts and recorded two wins and three placings with her stake earnings of $172,963 being boosted by her third in the Gr.1 Vodafone New Zealand Derby (2400m) and her second the start before in the Gr.2 Avondale Guineas (2100m). On the strength of those efforts she was taken to Sydney for a tilt at the Gr.1 ATC Oaks (2400m), in which she finished a creditable sixth after a first-up fifth in the Gr.1 Vinery Stud Stakes (2000m). “She’s grown up a lot through the Aussie trip,” Gibbs said. 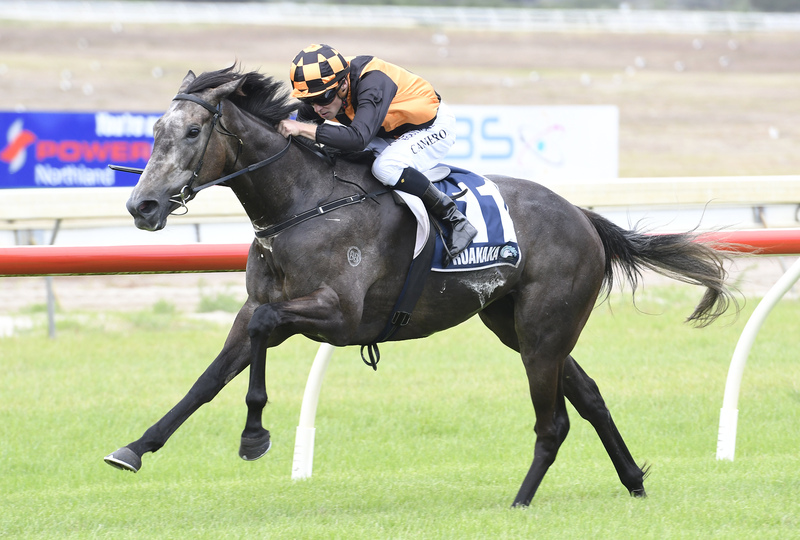 Danzdanzdance will be ridden this weekend by Danielle Johnson, who was aboard her for the first time in the recent Ruakaka win, while Cameron Lammas will be reunited with stablemate Hello It’s Me. 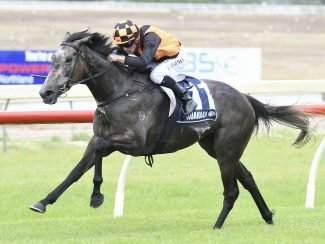 Lammas has ridden Hello It’s Me in five of her seven starts with the Gr.2 Royal Stakes (2000m) at Ellerslie being the highlight of his two wins on the Darci Brahma mare. Hello It’s Me resumed at Ruakaka last month and won over 1200m with Lammas aboard before her last-start fifth behind Danzdanzdance. While Danzdanzdance and Hello It’s Me are in the early stages of their campaigns, stablemate Vinevale is running out of opportunities to boost her value. The Flying Spur six-year-old has won six of her 27 starts and she will be chasing her first black-type win on Saturday. Her best placing in three black-type starts is a fourth in the Listed Timaru Cup (1600m), though she did run a creditable eighth behind Melody Belle in the Gr.2 Lisa Chittick Foxbridge Plate (1200m). Gibbs and Bradley’s other Hastings representatives will include Amazing Az and Los Angeles who will clash in the Rating 72 2200m.